Is the best time to trade exists? The stock and currency exchanges, along with the financial markets run 5 days a week, they are closed on holidays and weekends. The 24 hour period is divided due to differences in time zones. There are 4 so-called trading sessions, and the market for each of them has their own nuances. The current time has a real impact on the volatility level, leading many traders to ask what the best day of the week to trade is, as well as what the best time of day is. 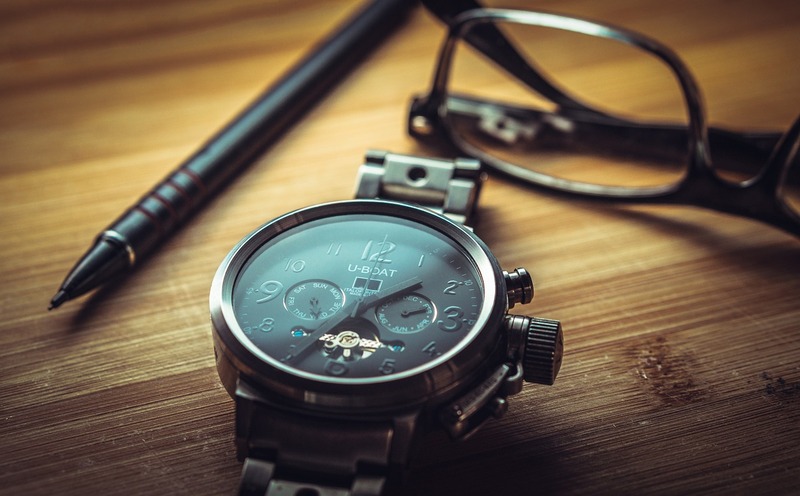 In this article, we aim to clarify the aspect of time in trading as thoroughly as possible. We will not only include the schedule and particularities of the trading sessions but go into the release of key events as well. We will go through the nuances of effectively trading the economic calendar, along with other important things of note in regards to the topic. The different time zones across the world make it so that, at any given time, it is the peak of the work day in some countries and night in others. The significant trading platforms are open 5 days a week, but only during working hours. This has led to the 4 trading periods. The world economic zones are divided into 4. At any given time during a 24 hour period, there is at least one session open, meaning that on Forex trading doesn’t cease. During certain times two sessions overlap, increasing the level of volatility. Let’s consider each one of them in further detail. It opens approximately at 23:00-01:00 Moscow time and closes at 10:00. Wellington, New Zealand and Sydney, Australia are the economic centers of the Pacific economic zone. Prior to when the Asian session opens (at 3 AM Moscow time), it is the calmest period on the market. That being said, during specific times, the general volatility of the market can reach high levels, especially if it involves the release of key news reports from the Australian or New Zealand central banks. Over these periods, currencies pairs including the AUD or the NZD can demonstrate price jumps. Additionally, news releases from these governments have a lesser impact on the global financial market than those from Europe, Asia, and America. It opens at approximately 03:00 and closes at 12:00 MSK. The key economic centers are Tokyo, Singapore, and Hong Kong. The two latter cities’ platforms open an hour later than the Japanese. Asian countries play a key role in the world economy because they are modern industrial centers, manufacturing goods that are widely traded internationally. In the morning, all currency pairs that include the Japanese Yen are actively traded. When the Pacific session overlaps, the trading activity increases between the countries. However, this all happens in the early hours, for the majority of the day they remain calm due to the fact that the American and European countries’ economies are the favorites these days. Therefore, if the Asian session is highly volatile, then it is usually just ripples from the previous American-European trading period. It opens at 9:00-11:00 and closes at 18:00-20:00 Moscow time. As Europe has the largest number of international economic centers, this time is an active period on the market. The largest number of trades placed during this period. When the main center opens in London, all the currency pairs linked to the British Pound, Swiss Franc and Euro increase in activity. The GBP/USD, EUR/USD, CHF/USD assets, among others, are in the top ten most traded tools. News released during this period more heavily influences the course of all currencies, assets, and goods traded on the market. News in connection with actions on the part of central banks, as well as industry reports, employment figures, interest rates, the state of business, the current housing market and so on have special importance. The anticipation of these events and their aftermath, in particular, provoke very turbulent market reactions that are difficult to forecast through technical analysis alone. It opens at 16:00 and closes at 1:00-2:00 Moscow time. The dollar, in particular, is the global currency. Therefore, when the leading economic centers on exchange platforms open in New York and Chicago, there is obvious growth in market participant activity across the globe. Influential traders enter the market, such as representatives of transnational corporations, banks, and other organizations. The period from 16:00 to 20:00 is often referred to as the American-European trading sessions, as during that time both periods intersect. Statistically, a higher number of trades are placed in the evening. Moreover, this affects not only the influential market participants who trade funds and currency pairs in London, Chicago, and New York but all the private traders on Forex and other online platforms. In Russia and CIS countries, the period of the American-European session coincides with the official end of the working day in many spheres of activity. This is useful for traders who start out trading alongside a day job. The principle of generating profit through trading is based on price difference. When trading on Forex and CFD, the percentage of profit is directly dependent on the coefficient rate change. The situation is different with fixed contracts, where only the direction plays a role, not to what degree it moves. That being said, there is a general rule. The lower the volatility (the general activity on the market), the less accurate indicators and technical analysis systems are. When there are neutral trends, when the price moves within the confines of a horizontal range, there is more “noise” and false signals. This is why the vast majority of traders only trade trends. Statistically, in a 24 hour period, approximately 70% can be characterized as calm. There is high activity only 30% of the time (approximately 7 hours) when key news is released and traders open a larger number of trading positions. Based on that, you can come to the conclusion that the best time to trade is in those 7 hours of a 24 hour period. But what times in particular? The level of market volatility is based on two factors, the number of active traders and the release of economic news. Therefore, the most volatile periods are when one trading session intersects with another. That being said, in the morning the market is relatively quiet. The problem is that the global economic centers are in a relatively passive state. In particular, this is due to that fact that it is daytime in Europe, so the level of volatility is higher later in the day as opposed to in the morning. Also, the majority of key news relating to the Eurozone is released between the hours of 12:00 and 16:00. Based on this information you could come to the conclusion that the most volatile times for currency pairs is from approximately 12:00 to 20:00. This is the optimal time range for trading because this when many traders enter the market. However, it isn’t all that simple, it is necessary to make several clarifications. First off, it is important to differentiate between currencies. The activity levels vary between different assets. The schedule of trading platforms on specific exchanges has an impact on it. Secondly, the time when economic reports are released plays a key role, as do other important events from an economic perspective. Thirdly, many factors influence the price, meaning that you can’t solely base everything on the schedule of trading periods. At the same time, on different days the market can behave in a completely different manner. • 16:00–20:00 – The Euro and Dollar, as well as the British Pound and the Swiss Franc. The market situation is not only influenced by the time of day but also the day of the week. As it is well known, trading platforms only run during weekdays. The platforms are closed over official international holidays and during the weekends. It is worth clarifying off the bat that this doesn’t apply to cryptocurrencies, which are quickly gaining traction not only among investors but traders as well. In general, the situation based on the day of the week is stable. However, traders should be cautious at the start and end of the working period. Monday is that time when the market opens after the weekend. Typically, this is also the day when reports of varying degrees of importance and key economic news are released. If the Monday passes without any such events then the volatility usually remains at the standard level. The other intense day of the week is Friday. The evening hours on the eve of closing are the riskiest. The problem arises due to significant traders closing out their trading positions on the run-up to the weekend. The Friday American-European trading session is typically more volatile than on other days. On the other hand, it is good because traders profit specifically from asset price movements. That being said, the forecast ability and the stability of the market are more important, especially when trading with contracts with fixed profit and loss. The second and third days of the week are the most stable periods. Important event rarely takes place on these days and the inertia from previous events has already died down. This means that the indicators produce more accurate signals. This becomes evident with a statistical comparison. Thursday is a neutral day because it is already beginning to near the end of the trading week. The level of tension is slightly increased. Economic reports that have a profound effect on the state of the market are often released on Thursdays. Investing developed this tool on their popular portal for investors and traders. It is unique in that is gathers all the important economic news in one place. As the information is presented in a condensed form, there is nothing unnecessary, only key events, numbers and short descriptions. The economic calendar at safetradebinaryoptions.com enables traders to easily know the important times and dates of upcoming releases. This allows traders to see in advance when the risky periods where volatility becomes unpredictable are. It is best to refrain from trading during these times. If you don’t do this, then you could easily find yourself in a situation where the price makes a sharp jump despite all the indicators. Even traders who rely solely on technical analysis use the economic calendar. Other than that, you can use this tool to try your hand at trading with fundamental analysis. A certain percentage of the news available on the calendar has a forecastable result. If the event is positive, then the market usually reacts with growth and vice versa. If it is negative the course falls. The basis for this is trading strategy is the economic calendar. The best time to trade is when the market is active, but stable. For example, it could be a clear ascending tend. If the price fluctuation is chaotic, experienced traders refrain from trading. These situations typically happen when news is released. This is why it is so important to follow the events on the economic calendar when trading.